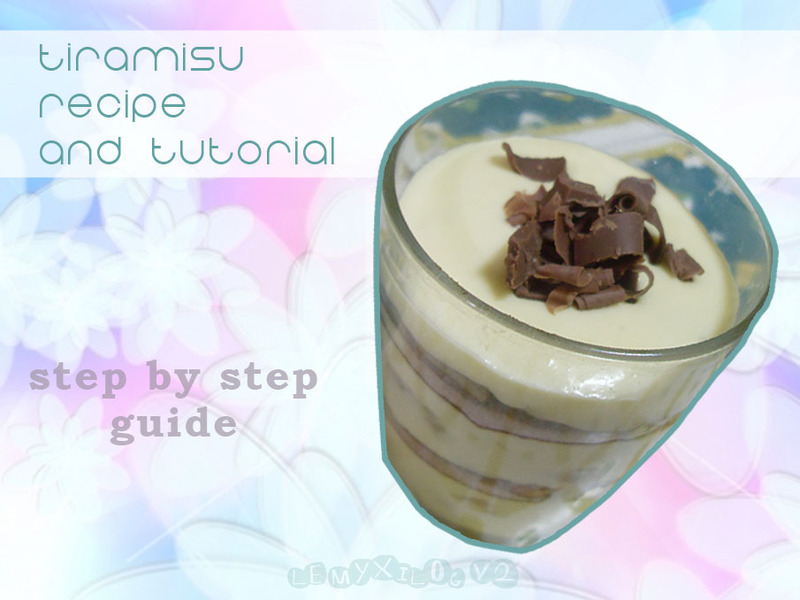 And now, as promised, here's a mouth watering dessert recipe for you guys! 1. 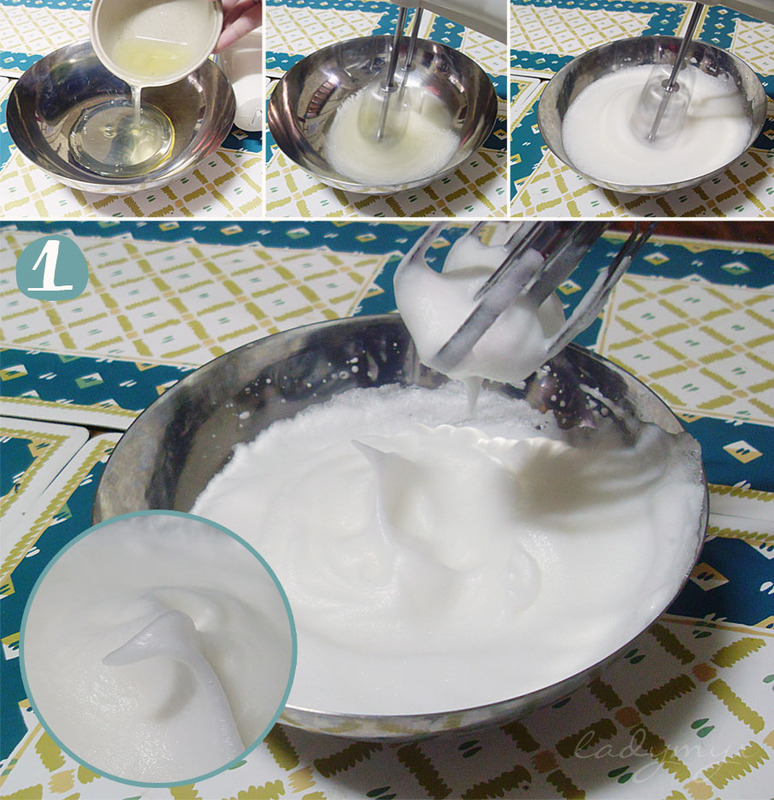 In a bowl, beat in egg white until soft peak. I've tried beating it with a wire whisk, and it took me too much time until I reached this peak, so I highly suggest to do it with a hand or stand mixer. 2. 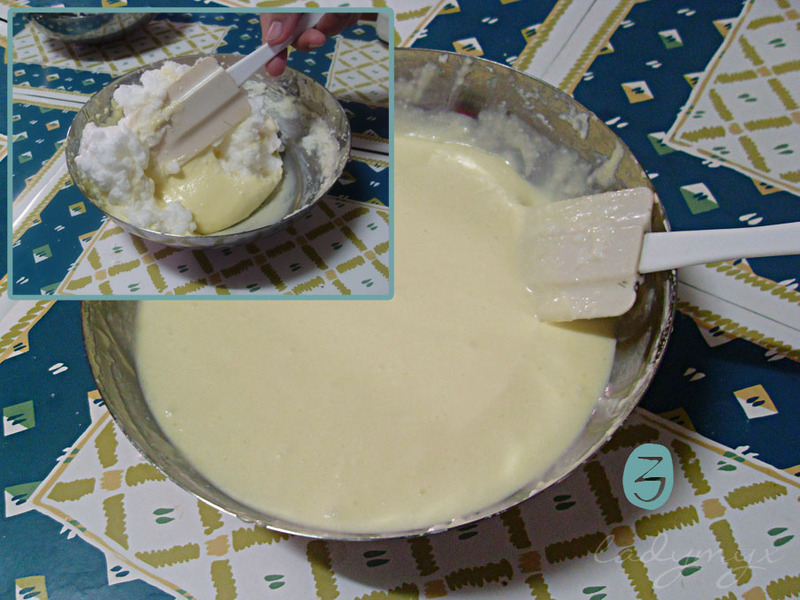 In a separated bowl, beat in egg yolks and icing sugar until light and pale in color. 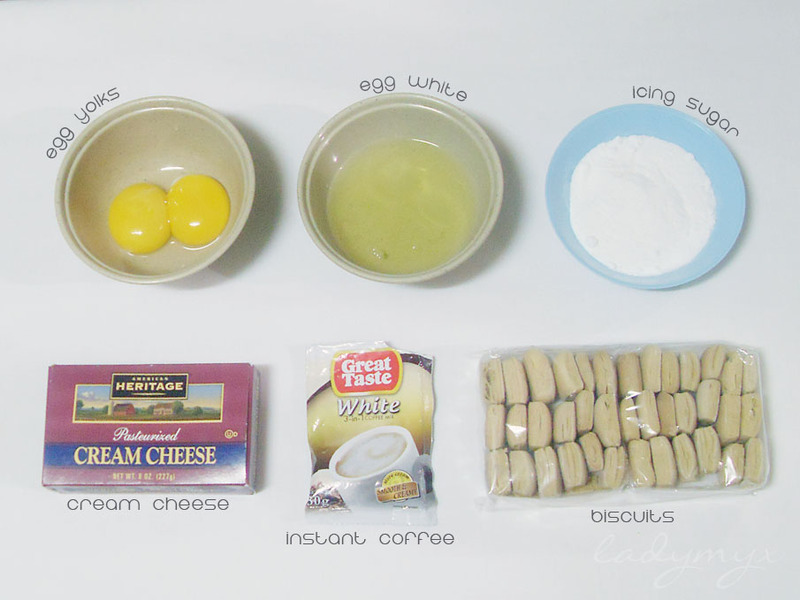 Add in the mascarpone, if you have, (got cream cheese here) and mix until incorporated. 3. 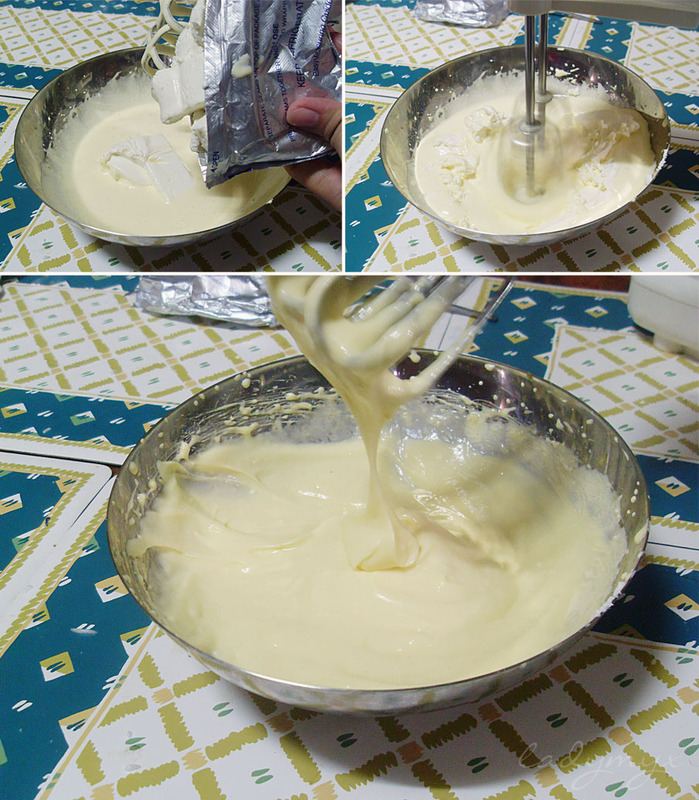 Add beaten egg white on the yolk mixture and fold until well blended. 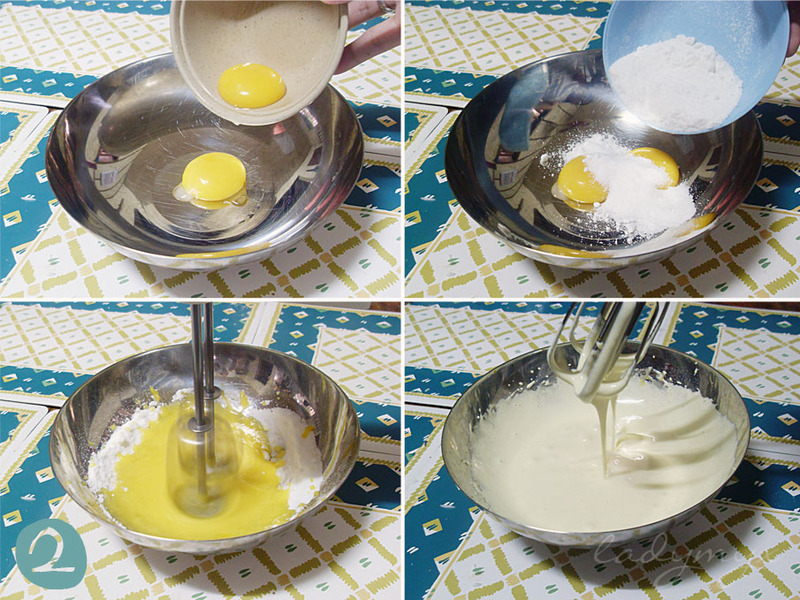 You wanna add half of the white to the yolk and fold then add the rest then fold again. 4. Dilute instant coffee mix in warm water and soak biscuits until soft in the outside and still dry and crunchy in the inside. 5. 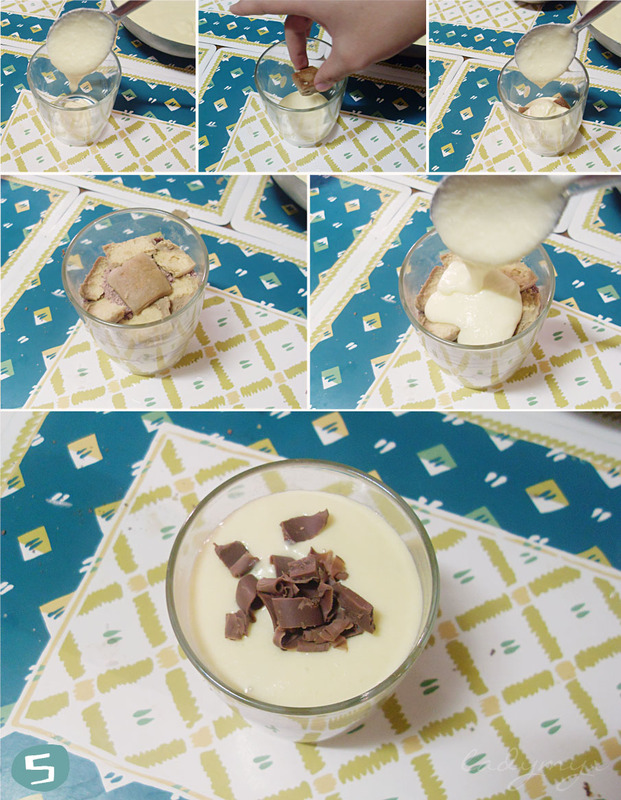 In a medium glass/transparent cup, place a spoonful of egg mixture, top with biscuits, a spoonful of egg mixture again (you can add chocolate powder or instant coffee after egg mixture, sorry I forgot to snap a photo of that), just continue the process of layering until you almost reach the glass rim, then finish with grated chocolate. Place into the fridge for a few hours to set. And viola! You have your homemade tiramisu in cups!